During this post I will be explaining my recent foray into the world of cryptocurrencies, especially the most popular one of the them all, Bitcoin. Its certainly an area which offers opinions both side of the fence, but as you may or may not know I like to take punts on things like this. But this I don’t think is a punt. You can buy Bitcoin today with just a debit card and a digital wallet. I will cover how you can buy some later in the post. Just over a month ago I purchased my very first holding in Bitcoin. I purchased $100 worth in an popular exchange using just my debit card. This small amount is held in my digital wallet. I purchased that amount when the price was around $5000 per coin. Just over 1 month later its around $10000 per coin. So, it doesn’t take a genius to work out that my original stake of $100 has now grown to close to $200. The market does fluctuate all the time, every minute sometimes! But overall here is the trend for the last month. As you can see it has some quite erratic behaviour, throughout the middle of the month it dropped back to its month low price but then went on a surge. This is quite “normal” behaviour due to many factors. Media hype (good and bad) certainly help this spike and dip. I have no trading experience whatsoever but as I said above I have made investments in other platforms and products before. Some made me money others lost me money. So you should not take what I say as advice, I am just offering what I am currently doing. If you want to jump in after reading this post then that is 100% your responsibility. Now we have cleared that up lets continue. Here is the lifetime chart for Bitcoin since its creation in 2009. And you could be right. In fact several of the old institutional banks etc all predict it will. The very nature of an open ledger scares the hell out of the banks, imagine a world where there would be no central control. Bitcoin is owned by the network of people that use it. Here is a brief explainer video to get you started on it. This guy is the undisputed king of the Bitcoin world, he’s very pro – you could say one-sided in his approach to it. You have to admire his enthusiasm for it and knowledge, I for one am a fan. This video by Andreas Antonopoulos explains what it is and the importance (in his eyes) of it. I have one of his books and his view of the world is quite amazing. I have spoke of similar views often to my colleagues and peers and got some quite bizarre looks! I must admit, I for one am a bit of a fantasist. I am also a big fan of tech, I can remember being amazed by email at a time when not everyone had an email address. So while the banks and other big market players are all saying Bitcoin is a fad, a fraud, a scam, a ponzi etc etc I would like to point out a few other predictions the world got wildly wrong…. So, how do you get involved. There are three ways that I am familiar with. You can buy some from an exchange and keep it in there, you can buy some and keep it in a secure wallet on your computer or phone, or you can mine it. The most complex way is mining, if you have seen the videos on the large mining companies they spend millions of dollars setting up massive infrastructures of PC’s to mine. It can be very expensive. However you can become part of a cloud mining program which I will explain later. There are loads of exchanges and places you can buy Bitcoin but I will only cover the places I have used. If you suggest others please do in the comments below. My first ever purchase of Bitcoin was with Coinbase – this is probably the easiest of the three. You can head over a get started straight away and you can buy straight from your debit card. If you use my link here we both get $10 of free bitcoin after your first deposit of $100 or more. If you are a bit of a phone junkie then Coinbase also have a cracking app so you can check the charts and how your investment is going each day, or in my case every 20 minutes or so! Be warned, the charts can get addictive! This is an ok entry level but technically Coinbase owns your Bitcoin as they hold the keys to your wallet. I would not be put off or scared by this but its worth noting if Coinbase ever got hacked then potentially so could all the accounts holding currency. I hold one third of my investment portfolio here. The next method is to store some in a wallet of your own. There are many wallets available online, some free, some paid. I use Exodus which is simply superb. I really like it. 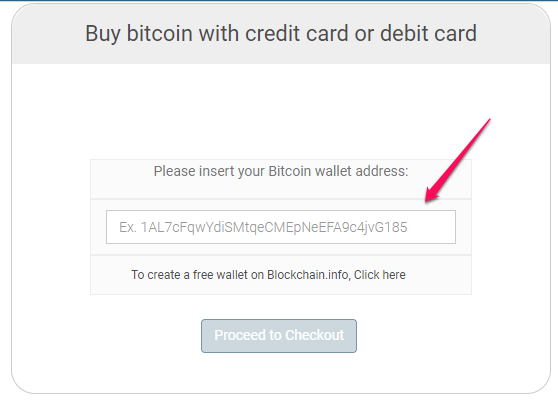 In order to store your Bitcoin in here you will need to “send” it to your wallet from somewhere where you have purchased it. Here you can buy hassle free with your debit or credit card. Once you are ready to purchase you will need to let Coinmama know where to send your Bitcoin. 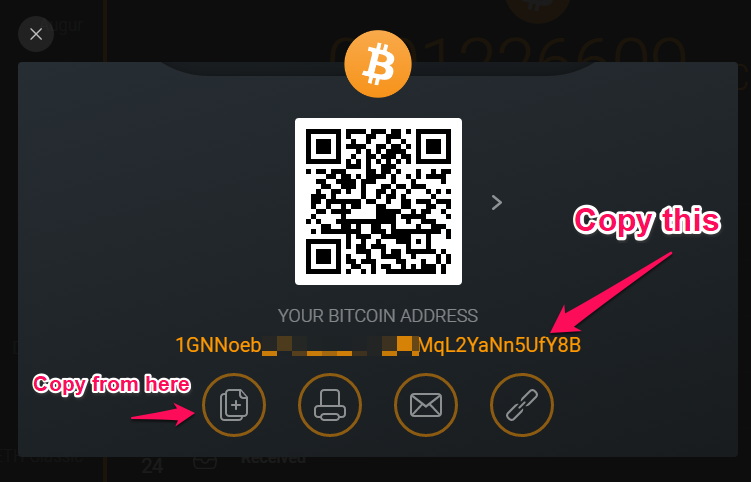 This is where you copy your wallet address into the system. So, grab your wallet address from Exodus. Then after you have selected the amount you wish to buy from Coinmama you will then be asked to paste in the wallet address you wish to send it to. Paste in your wallet address here. Once you have pasted it in click “Proceed to Checkout” where you will fill in your card details to complete your order. After you have completed your card details and clicked buy your order will need to be confirmed via email. They will email you a link asking if it is your wallet, confirm this by clicking the link in the email and your order will be processed. It can take up to 15 minutes for your Bitcoin to arrive in your exodus wallet. Don’t panic. That’s it – if you followed these steps well done, you are now part of the Digital Currency world! This method will not be for everyone, but it could actually end up being the most profitable. I shall explain. With this company you invest in part of a massive mining program. You can start with as little as 50 Euros. With this you buy “packages” of Bitcoin. You will get a return of around 140% in around about 150 days and the beauty of this is you can reinvest all your profits to buy more. I have set all my investments to 100% rebuy. It could be an interesting ride. I am very new to this platform and it is an MLM site, so the business opportunists will be out there blasting their link everywhere to join their “team”. Whist I am not a fan of a lot of MLM programs simply because they do not offer a product at all this firm does seem a little different. They are using Bitcoin sure, and without new members would they stay afloat? The jury is out, but I will take a gamble for $50. I know a few guys making some very good bank on this from their daily profits. You can withdraw when ever you want so its very transparent. If you want to join me on this ride with USI-Tech sign up using this link and I will show you the ropes. If you are going to use USI-tech just start with the minimum of $50 to buy your first pack. Once you see it earning daily and learn a bit more from the groups you can invest more. Entirely up to you. We can win or lose together! Wrap Up Video On My Thoughts With Bitcoin! As with any investment, never risk what you can’t afford. I am no way a financial expert or adviser. Here is a quick video on my thoughts, please watch this before making ANY decision. If you decide to jump in I have presented 3 options above that I am personally doing so we can ride it together. Let me know in the comments below too if you have other opinions, I’d love to hear them! 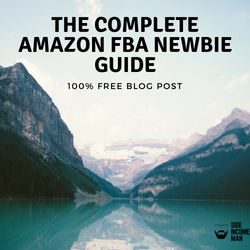 Previous Previous post: How To Get Started With Amazon FBA And Send Your First Box In! Wow super interesting read. This is one of the hot topics around and many misunderstand bitcoin. Thanks for your easy and detailed read! This is an extremely useful article for the folks like me, who knows about the Bitcoin but never step into the business. 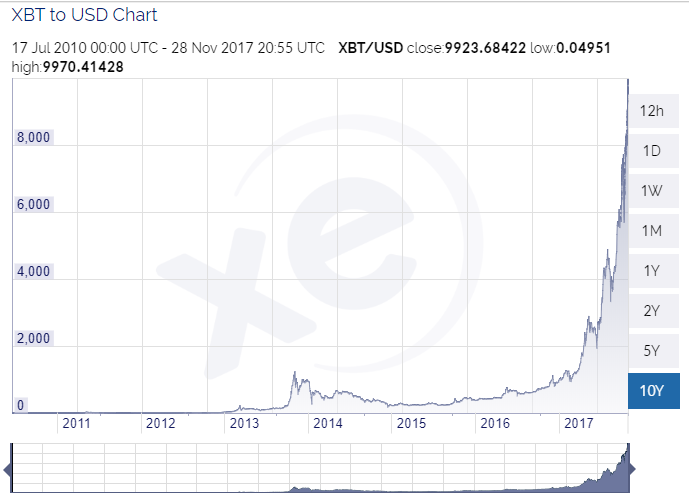 Bitcoin is in the trend, yeah of course for the very obvious reasons. Many of the folks have earned massive and still do so… This is an amazing blog to earn passive income. Would love to subscribe. 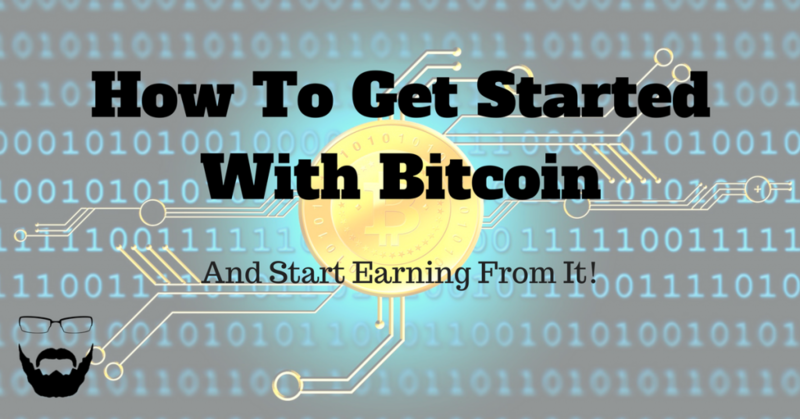 Thanks, John for the awesome insights on how to get started with bitcoin… Have a great day ahead!